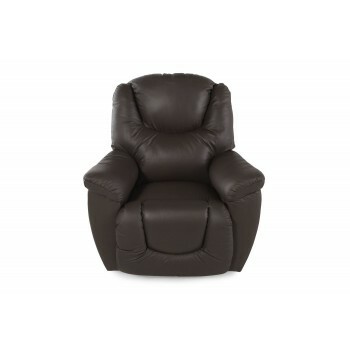 Lounge in luxury with this La-Z-Boy rocker recliner. Upholstered in leather with an exquisitely tailored back and leg rest, this plush and comfortable chair perfectly cradles your body from head-to-toe. This Lazy Boy recliner is the perfect addition to relax in your home.